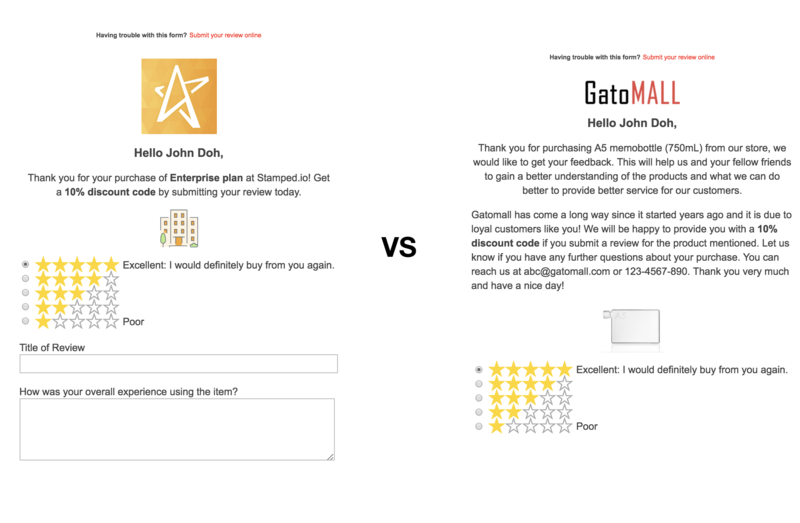 Here are some tips from Stamped.io's team on how to get the most out of your review emails, and ultimately increase your store's conversion rate. Set your own "from name" and "from email"
Let customers know that the email is from your store, not another app or company trying to collect reviews on your behalf. 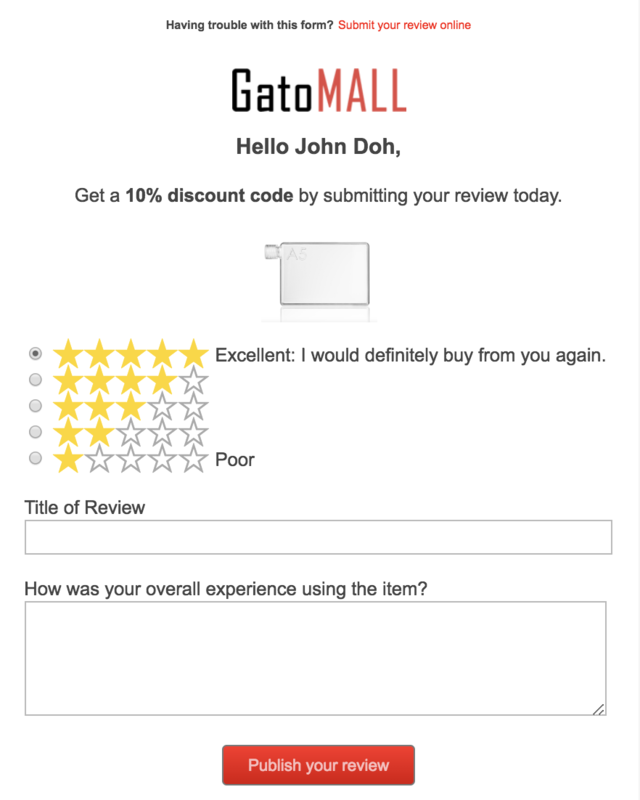 Setting this up correctly will definitely aid in the open rate of your review emails. Note: We suggest not to use email addresses ending with gmail.com/hotmail.com as these email service providers don't allow email coming from public emails without authentication. SPF/DKIM is necessary for Email Service Providers to properly authenticate the emails we're sending on your behalf. This ensures deliverability of the emails from Stamped.io to your customers. This may be too extreme of an example, but customers will appreciate if they can understand the content of your email at a glance, especially when most people read their email using mobile devices nowadays. Try to use key words in your email content that will draw the attention of your customers and keep it straight to the point. Writing an essay for your message will also mean the review fields will be pushed further down the email content, affecting conversion rate when customers don't get the context of the email. It has been tested and proven that incentives help to improve conversion rate for our users, and the main method to do so is issuing coupons for customers who leaves a review for your product (feature available in Basic plan & above). After setting your coupons up, don't forget to inform customers about this incentive in your review email, just like the example above. We have seen plenty of cases whereby users set too short of an interval between the email sequences (2-5 days after the one before is sent). This may look like a spam email to customers and there are some who will require more time to experience your product before committing to writing a review. We suggest to place an interval of at least 7 days before sending out another reminder email to customers. Do share with us at hello@stamped.io if you have more tips that can assist your fellow users in improving their conversion rates.